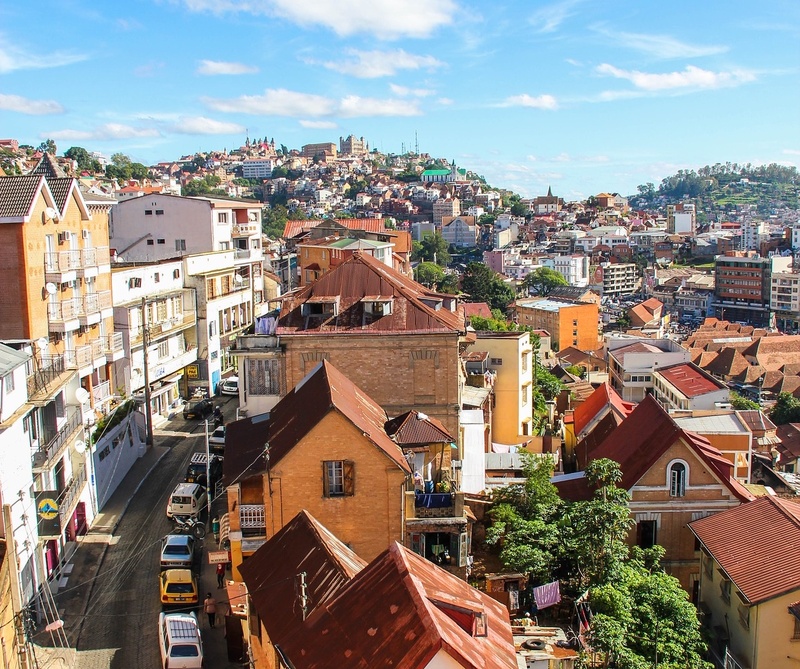 Madagascar, situated ~400km off the coast of Africa, is a huge island country that contains a rich variety of environments ranging from open plains, deciduous forests, dense rainforest, white sand beaches and lofty mountains. 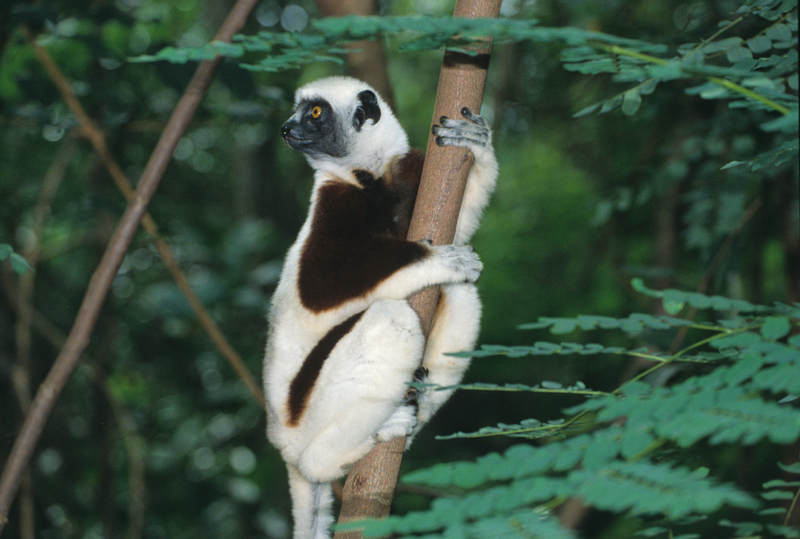 Cut off from mainland for millions of years, the island’s flora and fauna has evolved into unique species, many of which are found nowhere else in the world, the most famous of which are the numerous species of lemurs. On this 11-day trip, explore Madagascar’s unique flora and fauna in the area surrounding the Mandrare River in the south, and in the rainforest of the Andasibe-Mantadia National Park, while getting to know the friendly and welcoming Malagasy people. 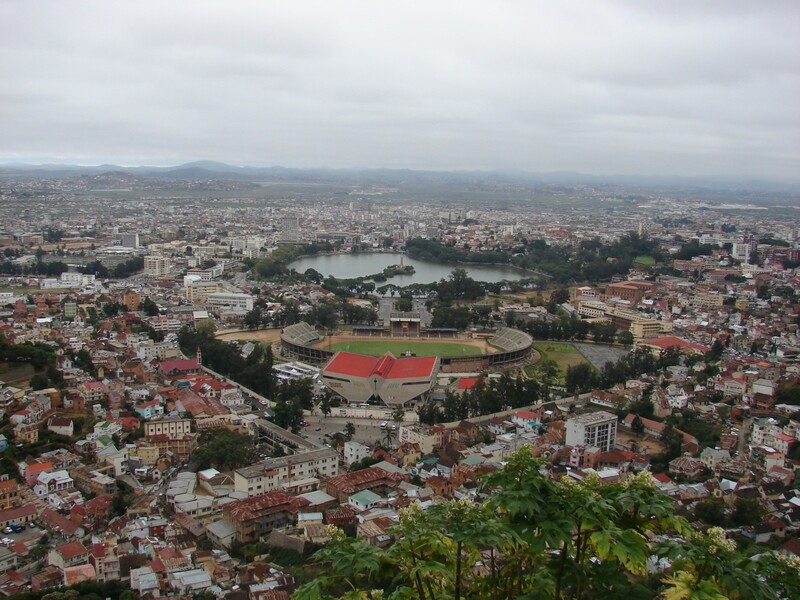 Arrive in Antananarivo (Tana), Madagascar! Arrive in Antananarivo (Tana). Your private guide will meet you at the airport and transfer you to your hotel. Relax and get settled for the night. Enjoy dinner at the hotel. Enjoy a night walk in the Forest of Zenavo where you will spot lemurs, chameleons, owls and more! After breakfast, you will take a private guided transfer to Tana airport. Fly with on a scheduled charter from Tana to Ifotaka. Your flight will depart at 09.30 and arrive at 12.05. Upon arrival at Mandrare River Camp, settle into your tent and enjoy the majestic views over the Mandrare River. You will be spending the next 4 nights of your trip at this all-inclusive Camp. Once you’re settled in, enjoy a 3-course lunch served on the river terrace. Around 5pm depart for a night walk in the Forest of Zenavo. This is a fantastic way to see diurnal lemurs bedding down, and the nocturnal lemurs beginning to wake in the eerie and prehistoric Spiny Forest. On your walk, you will spot Sifakas and sleeping White-foot Sportive lemurs, two lemur species, sleeping birds, chameleons, owls and now active Sportive lemurs. This morning, indulge in a breakfast of freshly baked croissants and pains au chocolat, fresh fruits, cereals and breads. After breakfast, depart to the stunning sacred gallery forest to the south of the camp. Depending on the river depth, you will walk or take a boat across the Mandrare River to reach this largely deciduous forest. Inquisitive groups of ring tailed lemurs and the always entertaining Verreaux sifaka are the highlight of this excursion. Return to the camp for lunch and a relaxed afternoon. In the late afternoon, head for a walk through the sacred spiny forest filled with the ancestral tombs of the local Antandroy tribe, as well as an extraordinary array of flora and fauna, unique to the spiny forest. Your English speaking guide and tracker from the local community will give you an introduction to culture and customs. Your visit is followed by sundowners on the Mandrare banks. After a cup of tea or Coffee head to the Spiny Forest for an early morning walk. Witness the sunlight break through the octopus trees while looking out for the many endemic birds such as Creasted Coua, a variety of Vangas and the Running Coua. Head back to the Camp for the sumptuous breakfast followed by a visit to the local market (on Thursdays and Saturdays) or the local village to meet the fascinating Antandroy tribe. Lunch will be served at the Camp followed by a relaxed afternoon watching life along the river from your tent terrace. 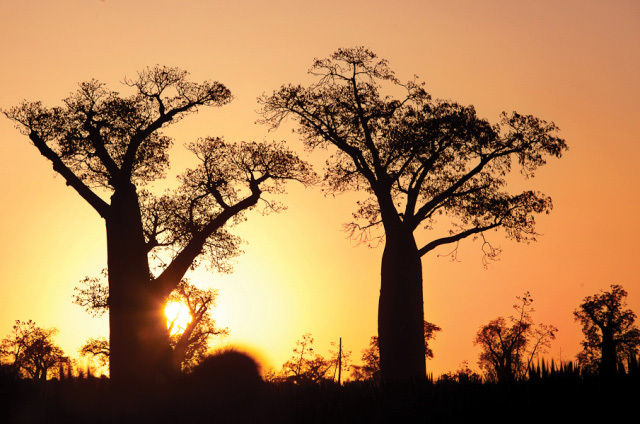 At 5pm, depart for a sundowner amidst the baobabs. Watching the sun set and moon rise with a view across the Baobabs to the mountains beyond is a magical experience. In the evening the local village may come to perform beautiful traditional dances, accompanied by the major rituals and events of everyday life. After breakfast depart for a day trip to the stunning Lac Anony (a two hour drive from the Camp). 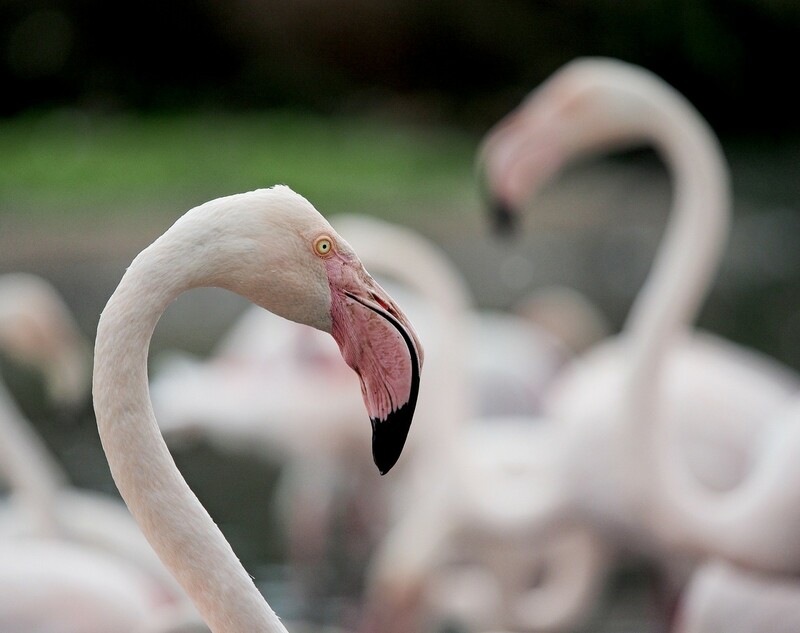 This salt water lake is separated from the Indian Ocean by a series of large sand dunes and is home to Greater Flamingos and a variety of salt water birds. On arrival, walk along the lake shore to the beautiful picnic spot. Then scale the 70 foot high sand dunes for an incredible view of the surrounding area, and go for a swim the lake. Return to the Camp in time for dinner. This morning, transfer to Ifotaka to take your scheduled charter back to Tana. You will depart from Ifotaka at 08.30 and arrive at Tana at 09.30. Enjoy a city tour of Tana. Drive with your private guide to Andasibe-Mantadia National Park, a protected rainforest area in eastern Madagascar (a 4-hour drive from Tana). Stop at the Mandraka Reptile Farm on the way. Check-in to the Mantadia Lodge, your home for the next three nights. Today, you will embark on private-guided, day and night walks in Andasibe-Mantadia National Park, a 155 square kilometre protected area. This rainforest is habitat to a vast species biodiversity, including many endemic rare species and endangered species, including 11 lemur species. The park’s two component parts are Mantadia National Park and Analamazoatra Reserve. You will visit Analamazaorta Special Reserve, popularly known by the old French name of the nearby town and railway station, Périnet. A network of good paths runs throughout the main reserve. Most visitors making the excursion have one purpose – to hear and see the Indri Indri calling. The Indri Indri is the biggest lemur. The reserve is also exceptionally rewarding for reptiles, frogs, and for birdwatching. Périnet, a mountain rainforest, covers an area of 810 hectares at altitudes between 930-1,040m. Many of the largest trees have been removed and the canopy averages 25-30m. The main part of the reserve resembles a table, with steep, forested sides (up which steps have been cut), bordered by a small lake. Nonetheless, there are numerous huge buttress-rooted trees, festooned with mosses and epiphytes. Blue coua, red-fronted coua, blue vanga, red-tailed vanga, velvet asity, sunbird asity, pitta-like groud roller, short-legged ground roller (Mantadia), brown mesite, collared nightjar, cuckoo roller, Tylas, cryptic warbler. 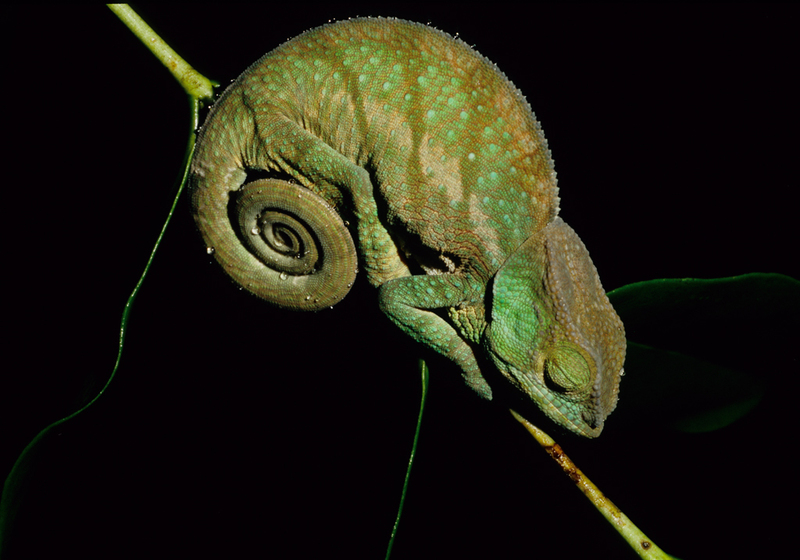 Very good for chameleons, including Parson’s chameleon, nose-horned chameleon (Calumma brevicornis), short-horned chameleon (Calumma nasutus), short-nosed chameleon (Calumma gastrotaenia). 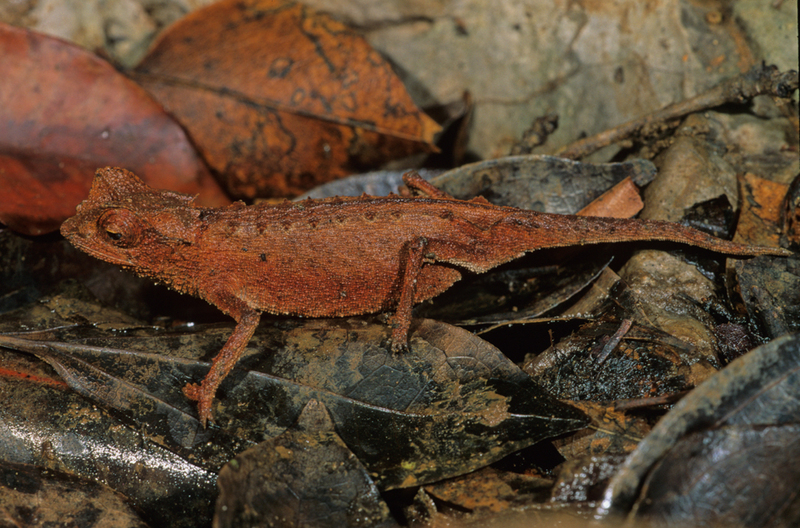 Also the stump—tailed chameleon (Brookesia superciliaris), leaf tailed gecko (Uroplatus fimbriatus), and Madagascar tree boa. Frogs include the golden mantella which is found in areas close to the reserve. Indri Indri , brown lemur, grey bamboo lemur, eastern woolly lemur. 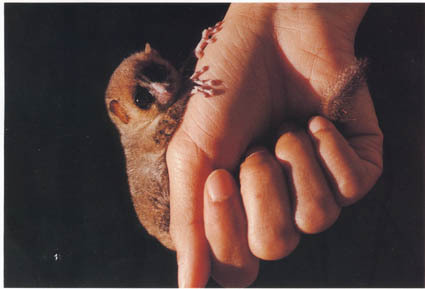 Brown mouse lemur, greater dwarf lemur (summer only). Also red-forest rat and streaked tenrec. If you’re lucky, diademed sifaka and black and white ruffed lemur (Maromizaha and Mantady National Park only). Today, you will again embark on private-guided, day and night walks in Andasibe-Mantadia National Park, visiting the Analamazaorta Special Reserve (Périnet). Enjoy another chance to observe all the fauna in the national park. After breakfast, drive with your guide back to Tana, and check-in for 1 night at Hotel Colbert. Enjoy your time at leisure until it’s time to depart for the airport for your international flight home. Located only 5km from International Airport, this prestigious hotel is the perfect oasis for a peaceful stopover before you depart for the south of Madagascar. Nestled in a wooded park, our 46 rooms with international standards promise you incomparable comfort during your stay. Enjoy a moment of pure escape in our Spa M’Aloe before starting your next step in Madagascar. Looking for culinary discovery? Our restaurant Ikambo is renowned as one of the best in the capital city. Its modern setting and its generous cuisine will delight you! Enjoy luxury en-suite tents, generously spread out in the shade of Tamarind trees, all with breathtaking views across the tranquil water to the sacred mountains beyond. The seclusion of the camp affords intimate access and insight to the spiny forest; home to an abundance of unique wildlife and the fascinating Antandroy tribe that inhabit this arid and otherworldly landscape. Set overlooking the river and a golden sunrise, our fully equipped, bespoke tents allow you to relax, sleep well and invigorate your soul. The ornate wooden furniture in each tent is individually hand carved to depict a different local wildlife theme: Chameleon, Lemur, Gecko, Baobab, Radiated Tortoise and Heron. Each tent offers: Private terrace with chairs and table – 4 poster mosquito netted bed – Wardrobe and dressing table – Bedside lights and tables – 24hr solar lighting and hot water – Fully plumbed bathroom – Hand carved wooden furniture – Baggage trunk. Located in the city center, its privileged location will fill you with a panoramic view of the most beautiful monuments of the city. All rooms have been furnished to ensure your comfort and a pleasant stay in the heart of the capital of the Big Island. The 3 restaurants in the hotel offer a culinary selection to revive your taste buds. There is something for everyone, from gastronomy to snack: the choice is yours! Mantadia Lodge opened in early 2018. It is located on a Hill 100 meters high allowing our guests to enjoy a panoramic view of the forest. The hotel offers 25 rooms, all of which offer panoramic views with private terrace, indoor lounge and a wood stove for the cool season. The restaurant has also been designed with an exceptional view thanks to the huge windows and a terrace of 40 square meters. There is a bar and a lounge with reading area. 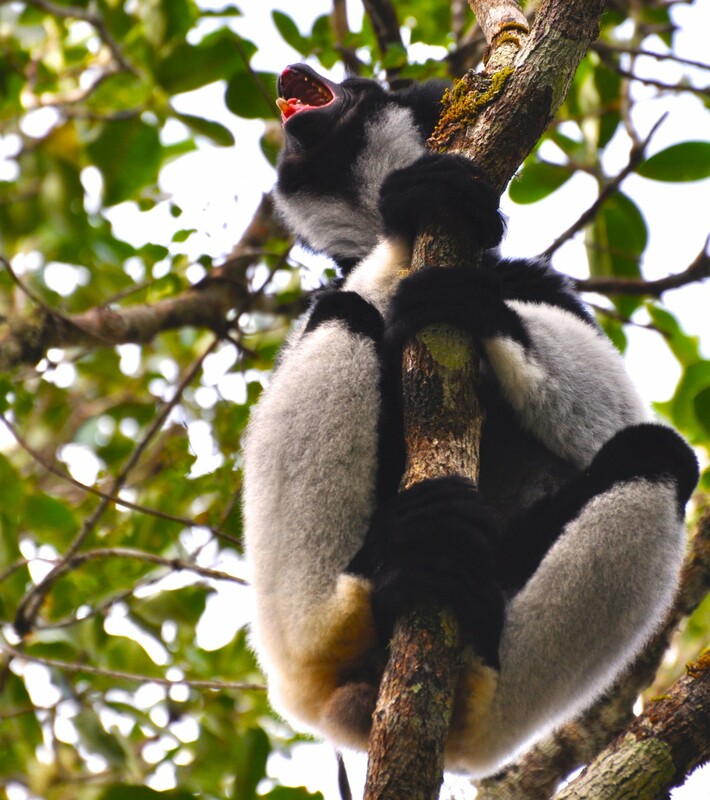 In the morning you may be woken by the song of the Indri Indri, these lemurs that can only be seen in Andasibe Park. The hotel also has an infinity pool and 2 massage parlors. The whole team is waiting for you to make your stay unforgettable.